jinsik kim is a korean designer based in seoul who has founded his studio in 2013, exploring the fields of design, photography and art direction. 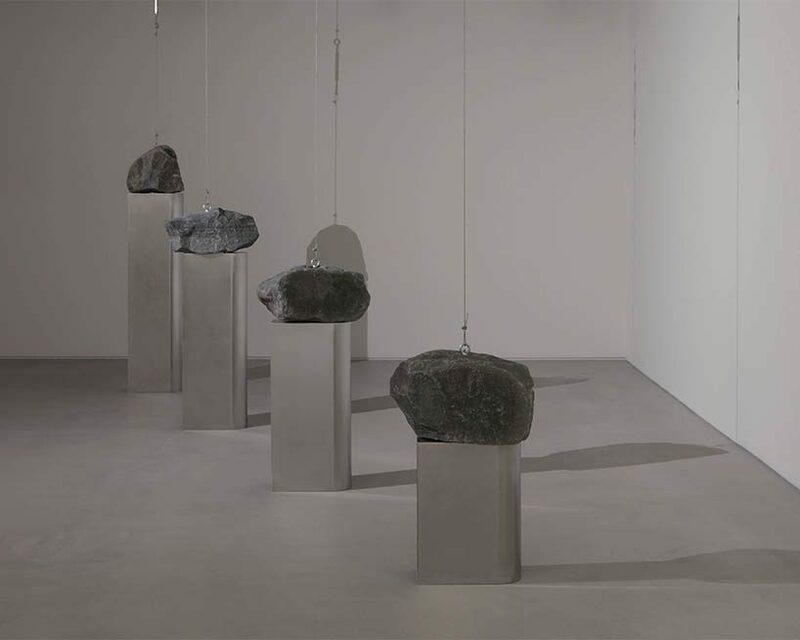 exploring the connection between visual and tactile senses, seoul-based designer jinsik kim hangs rocks from the ceiling and puts them on metal pedestals allowing the observers to feel the natural features of the pieces. 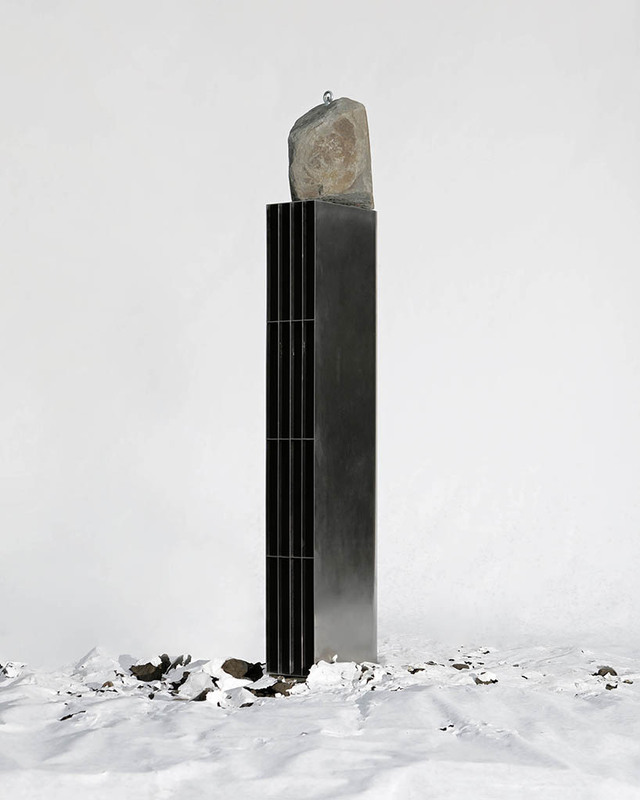 titles ‘weight’, the collection of artworks realizes the blurred boundary between art and design or function for the body and function for mentality. 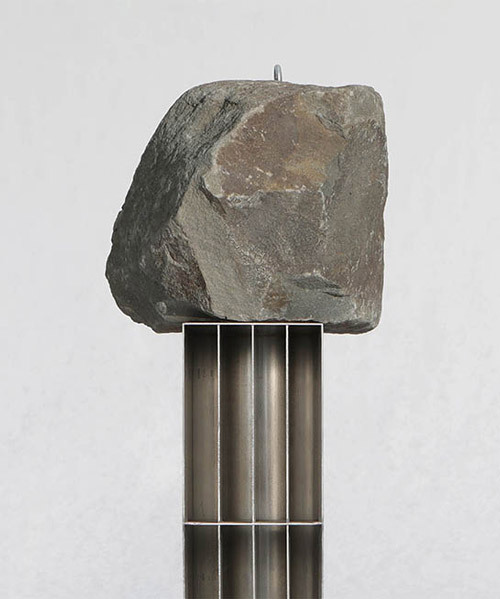 everyone has a rough idea of the weight of a stone. 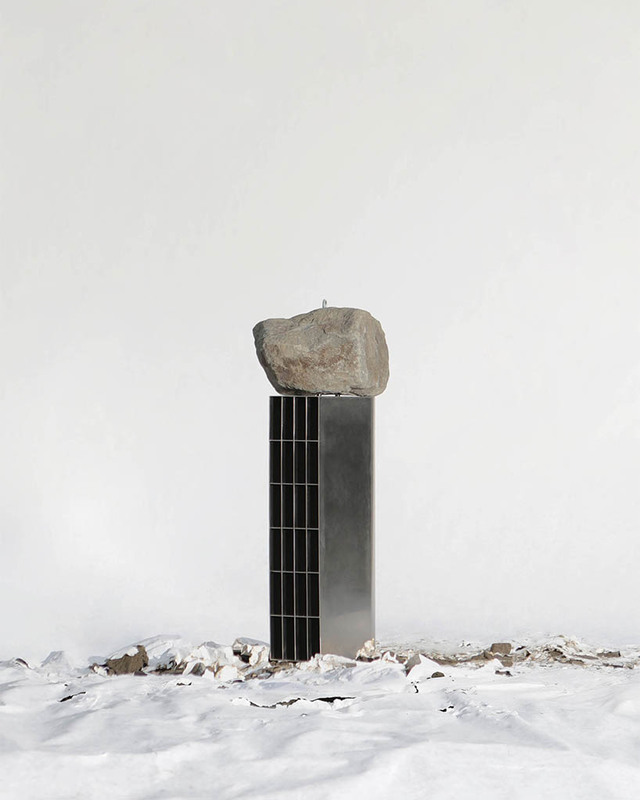 you can deduce the abstract weight even if they did not lift the stone up. 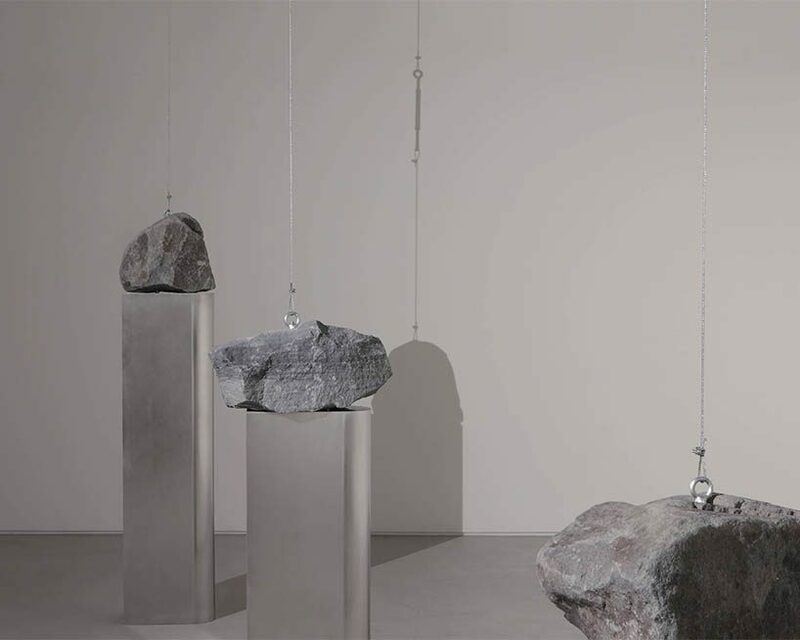 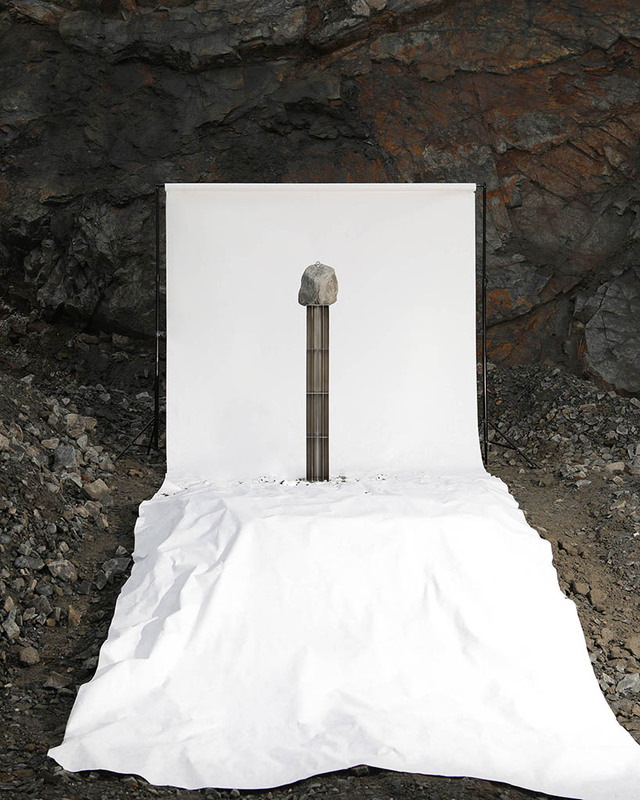 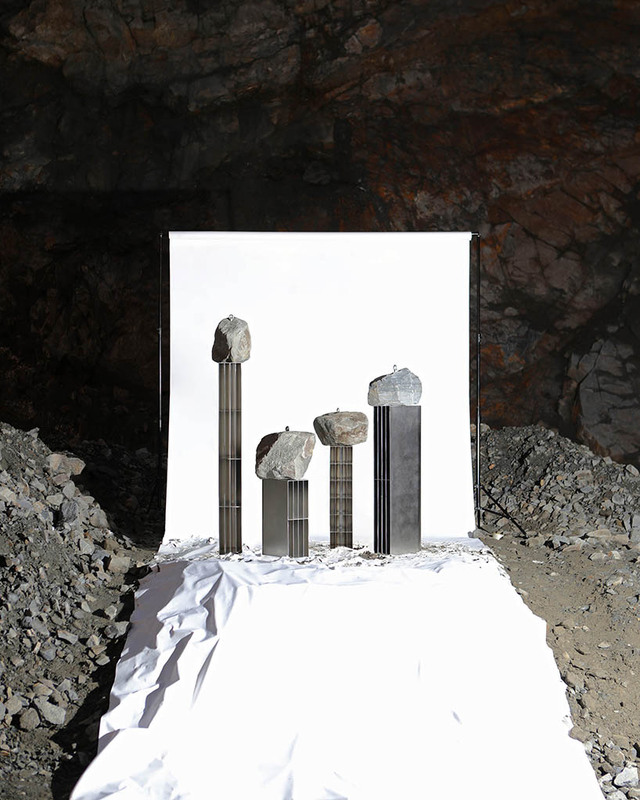 in the weight collection, experiences of various weights you have felt in your life give you an opportunity to visually explore weights of the natural rocks just mined from a rock mountain. 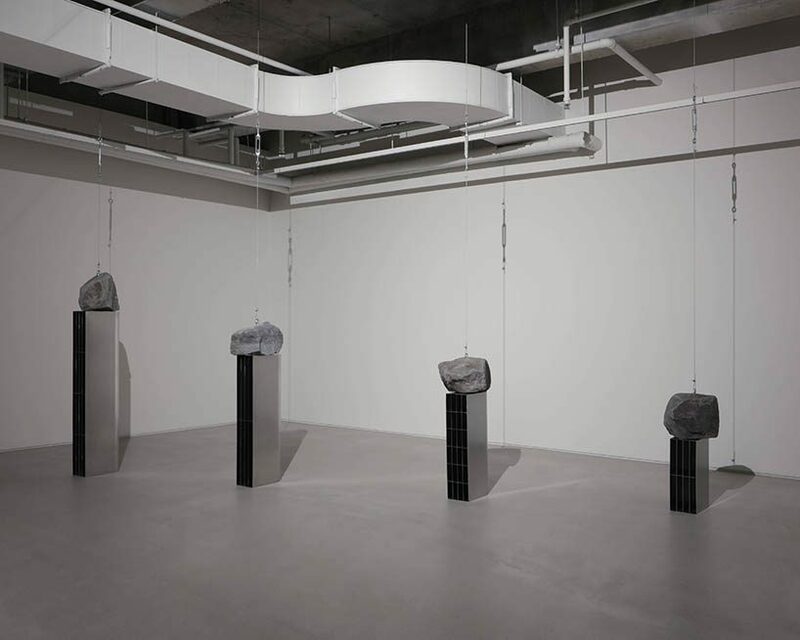 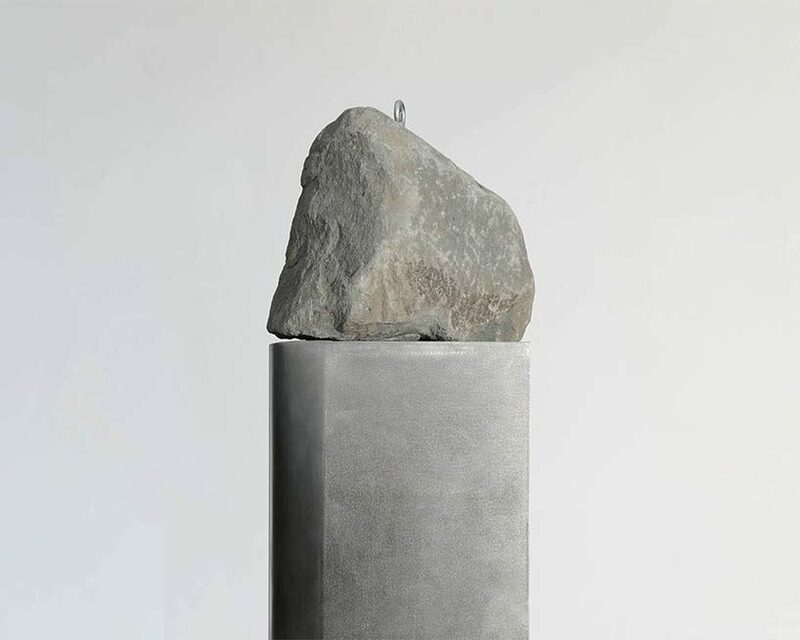 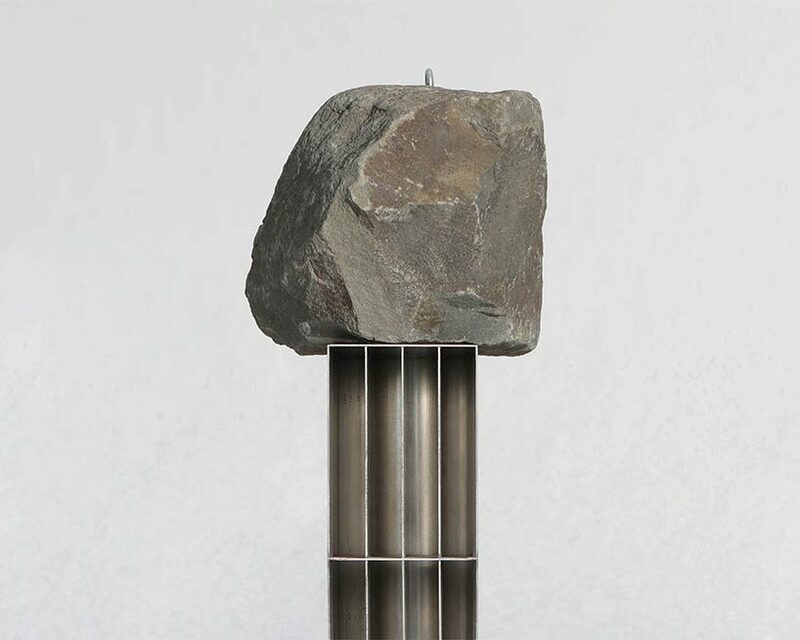 hanging a natural stone from the ceiling on a string and putting it on a narrow high pedestal, jinsik kim intents to re-edit the human sense. 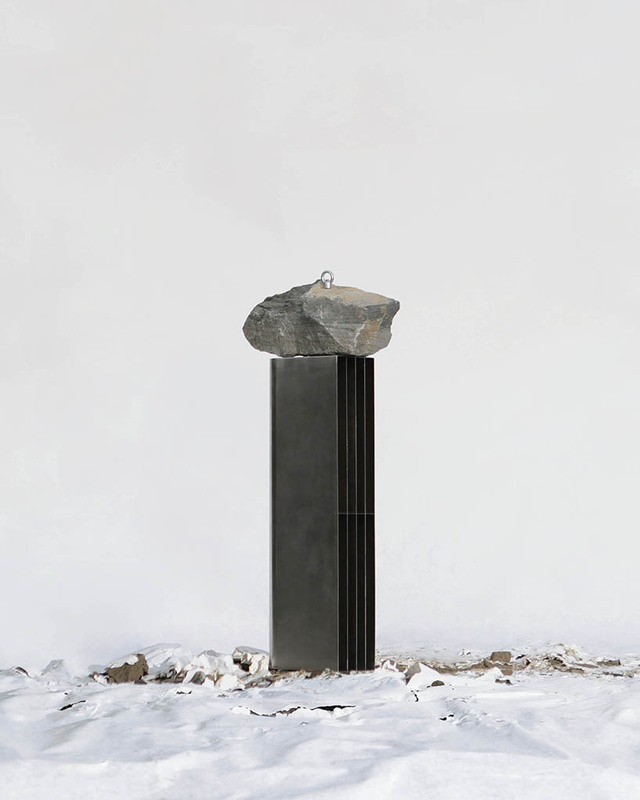 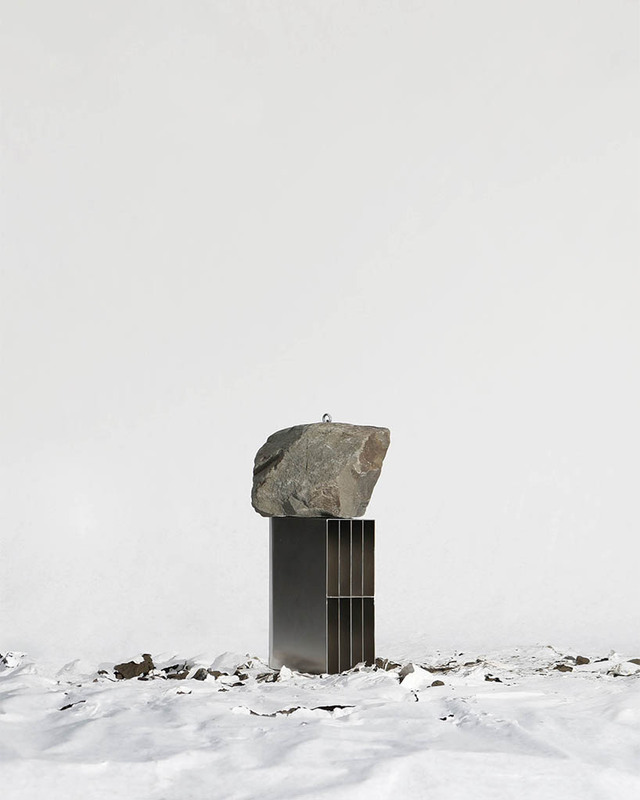 the piece finally functions as a rock having a proper weight, keeping the narrow sculpture from fall down.